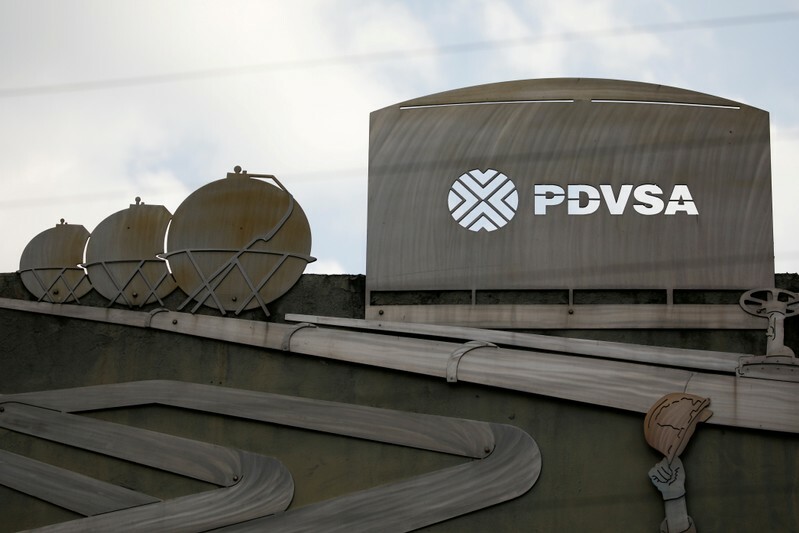 CARACAS (Reuters) – Venezuela’s opposition-controlled National Assembly’s finance committee on Wednesday authorized a $71 million interest payment on state-owned oil company PDVSA’s 2020 bond, which is backed by shares in its crown jewel overseas asset, U.S. refinery Citgo. The full parliament is expected to vote on the payment next week. The interest payment is due on April 27, but there is a 30-day grace period. 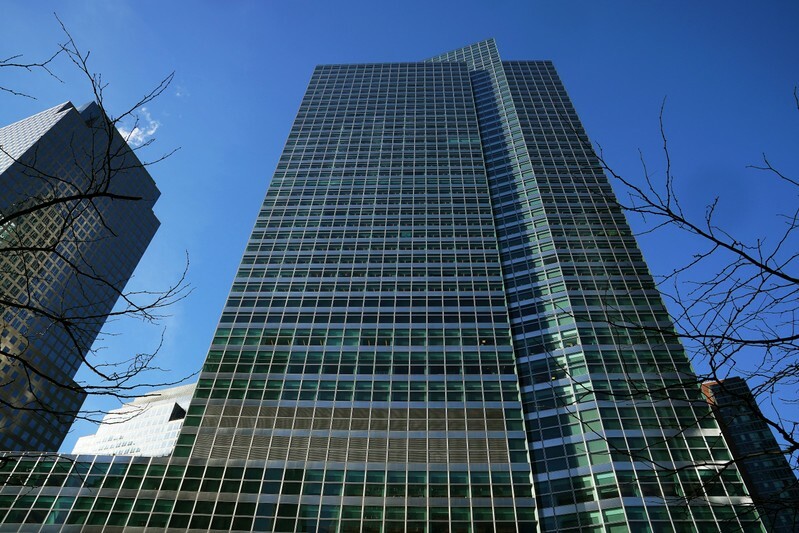 (Reuters) – A settlement with Goldman Sachs Group Inc over its role in the 1MDB corruption scandal should include a guilty plea at the parent company level, the U.S. Department of Justice has recommended, according to a Financial Times report on Wednesday. The internal recommendation by prosecutors is now being considered by senior officials at the DOJ, FT said, citing people familiar with the matter. Goldman’s shares fell 1.5 percent following the report. The FBI says it’s assisting California officials in the investigation of a motorist who appeared to deliberately plow into a group of people, injuring eight. Prentice Danner, a spokesman for the FBI’s field office in San Francisco, says the Sunnyvale Police Department is the lead agency in the investigation. But Danner says that if it is determined a federal crime was committed, the bureau will become more involved. Sunnyvale Police Cpt. Jim Choi says the driver of the car was arrested and has been identified but that his name is not being made public to avoid compromising the investigation. Authorities in Northern California say a man was arrested after he appeared to deliberately plow into a group of people, injuring eight, but that a motive is still under investigation. Sunnyvale Police Cpt. Jim Choi tells KPIX-TV that witnesses told investigators the motorists was speeding and drove directly toward the pedestrians without trying to veer away or stop the car before striking the pedestrians Tuesday night. Choi says some of the eight people injured were at a corner or on the crosswalk and that officials have to indication the motorists tried to avoid them. The department says the crosswalk remains closed Wednesday as officials investigate. He says officials are looking into whether the driver was having a medical emergency or purposely hit the pedestrians. The Bay Area city’s Department of Public Safety says it happened Tuesday evening. Eight people were taken to the hospital, including a 13-year-old boy. KGO-TV reports that witnesses say the man apparently made no effort to stop before hitting the pedestrians. WASHINGTON – The Trump administration on Wednesday granted important exemptions to new sanctions on Iran’s Revolutionary Guard, watering down the effects of the measures while also eliminating an aspect that would have complicated U.S. foreign policy efforts. Foreign governments and businesses that have dealings with the Revolutionary Guard and its affiliates will not be subject to a ban on U.S. travel under waivers outlined by Secretary of State Mike Pompeo in two notices published in the Federal Register. That weakens the effect of the measures and will frustrate members of Congress backing tough measures against Iran who are already concerned that the Trump administration won’t fully enforce sanctions on Iranian oil. But it lifts the threat that those who work with the U.S. in Iraq and Lebanon, where the Guard’s many subsidiaries are active, will face the full weight of American penalties. The waivers leave intact sanctions that apply directly to Iran’s Revolutionary Guard and its proxies, which are the first agencies of a foreign government that have ever been designated a foreign terrorist organization by the United States. The designation, which took effect April 15 , is part of a broader administration effort to increase pressure on Tehran. Under U.S. immigration law, foreigners found to have provided designated foreign terrorist organizations with “material support” can be banned from the U.S. When it was announced earlier this month, the designation raised fears that U.S. diplomats and troops might have to end contacts with officials in countries that have ties with Iran or elements of the Guard, a paramilitary organization formed in the wake of Iran’s 1979 Islamic Revolution to defend its clerically overseen government. Lebanon, where Iran and the Guard are active in their support of the militant Hezbollah movement, and Iraq, where they back Shiite militias and have close ties to the government, are two such countries where the U.S. is heavily engaged on the military and diplomatic fronts. Pompeo said in the notices that he decided to waive the travel bans in U.S. foreign policy and national security interests. In one notice, he said the sanctions “shall not apply to any ministry, department, agency, division, or other group or subgroup within any foreign government” unless that entity is covered by existing U.S. sanctions. Both notices said Pompeo retains the right to reverse the waivers. The notices were published just two days after the Republican administration announced that it would not renew sanctions waivers for countries that import Iranian oil. Those waivers, which primarily affect five countries — China and India and U.S. treaty allies Japan, South Korea and Turkey — expire on May 2. The announcement sparked a spike in world oil prices due to concerns that the global supply of crude would be diminished if Iranian exports are cut off. In the days since, however, concerns have been raised by Iran hawks that the administration may not impose sanctions on those countries if they continue their imports. China and Turkey have severely criticized the decision not to renew the waivers and said they will not bow to U.S. pressure while India has said it will try to comply but is hoping for a work-around. Under one scenario being considered by the administration, those countries could be allowed to place and pay for future orders of Iranian oil before May 2, essentially front-loading continued imports, according to congressional aides and outside advisers familiar with the matter who spoke on the condition of anonymity to discuss internal deliberations. Then, the administration could grant them waivers from sanctions to insure, transport and refine the oil that are allowed under the 2012 Iran Freedom and Counter-Proliferation Act, they said. That act, passed in the Obama administration, provides legal authority to impose sanctions on Iran’s petroleum industry and foreign countries that do business with it. But it also allows for the penalties to be waived. The State Department declined to comment on the possibility that Iranian oil imports might continue without sanctions. MOSCOW (Reuters) – Russian pranksters posing as Ukrainian president-elect Volodymyr Zelenskiy tricked French President Emmanuel Macron into a hoax phone call after Sunday’s Ukrainian presidential vote. In audio from a 15-minute phone call posted on YouTube on Wednesday, Russian pranksters Vovan and Lexus get through to Macron by pretending to be Zelenskiy, a comedian with no political experience who won the Ukrainian presidential vote in a landslide on Sunday. The exact timing of the call was unclear. An official at the French presidency told Reuters that it would not comment on the video, saying it would neither confirm nor deny its authenticity. 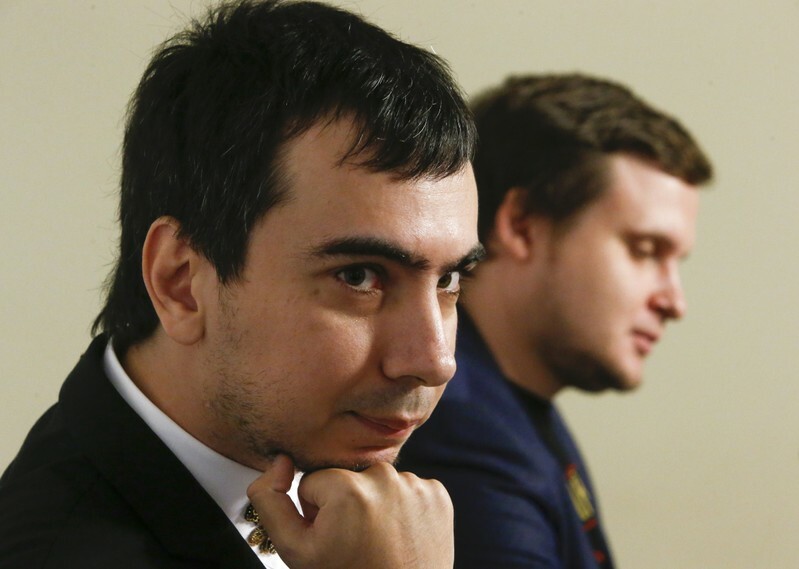 Vovan and Lexus are known in Russia for targeting celebrities and politicians with prank phone calls and have in the past tricked British singer Elton John and former British Foreign Secretary Boris Johnson, among many others. One of the pranksters, impersonating Zelenskiy, joked that his winning 73 percent of the vote in the Ukrainian election was reminiscent of Russian President Vladimir Putin’s own strong election results. Zelenskiy met with Macron earlier this month in Paris ahead of the run-off against Ukrainian President Petro Poroshenko. Florida prosecutors announced Tuesday no charges will be filed against the 15-year-old boy seen being pepper-sprayed and assailed by deputies in a disturbing viral video — but the Broward County State Attorney’s Office said it’s continuing to investigate the actions of the law enforcement personnel involved in the altercation. On Thursday, Broward County sheriff’s deputies responded to a report of a fight outside a McDonald’s restaurant where about 200 students had gathered. Authorities said the teen’s interaction with deputies began when he picked up a phone belonging to one of the students detained over the initial scuffle. Video recorded by another bystander in the group appears to then show a man later identified as Sgt. Greg LaCerra pepper-spraying the teen after he stood up and appeared to say something, according to The Associated Press. Though the teen, who has not been identified, doesn’t engage officers physically in the cellphone footage, LaCerra follows spraying the irritant at the boy by appearing to knock him down. Then an officer identified as Deputy Christopher Krickovich tries to repeatedly slam the teen’s head into the ground and punches him. The teen was reportedly not seriously injured in the incident. “As we continue to gather information in our internal investigation, I have decided to change the deputies’ status from restricted administrative assignment to a suspended status,” Tony said. “I had to act quickly, fearing I would get struck or having a student potentially grab weapons off my belt,” he wrote, according to the arrest report. High-profile attorney Benjamin Crump was hired by the teen’s family to represent him. He wrote in an Instagram post Tuesday the officers involved should be fired and charged to “the full extent of the law” for their actions.